The Mytilineos family’s M/Maritime is being linked by brokers to its first kamsarmax acquisition. Broking sources tell Splash the company has forked out somewhere in the region of $24m for Mitsubishi Corporation’s 2014-built kamsarmax Puppis Ocean . VesselsValue and MSI both put a value on the JMU-built ship of around $22m, although the valuation was described as “a bit light” by a source Splash spoke to, comparing the acquisition to the $24.5m paid by Chronos Shipping earlier this year for Sanoyas-built kamsarmax Crystal Star. 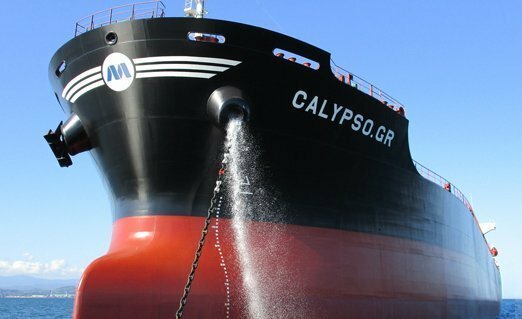 Founded in 2016, M/Maritime has built up a fleet of eight bulkers, made up of four handysizes and four ultramaxes. All of the vessels, with the exception of one ultramax, are built in Japan. The company also has two ultarmaxes and three handysizes on order at various Japanese yards.